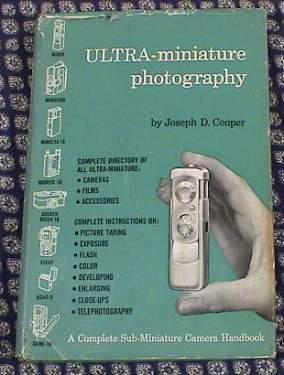 Joseph D. Cooper, Ultra-Miniature Photography ,1958, 160 pages. A complete guide to the subminiatures of the time. 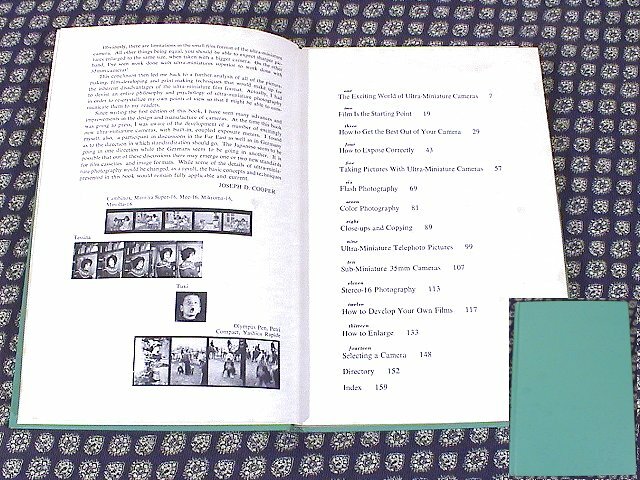 It concentrates mainly on techniques but briefly covers details on several subminiature models. 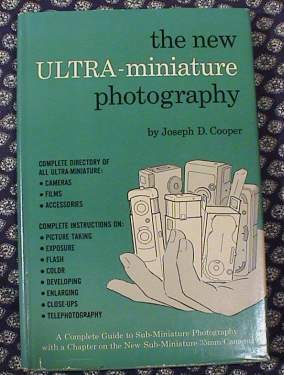 Joseph D. Cooper, The New Ultra-Miniature Photography , 1961, 160 pages. An update to the original loosing much of the detail on particular models of subminiature cameras to a table of features it does include half frame and Tessina.